Handmade organic skincare and beauty products, perfect for those with sensitive skin but for anyone who wants a natural, healthy, affordable skincare routine. A slightly different model, where you choose 3 products from the range yourself – one is half price and you also receive a free trial size product with every box. They are shipped to you at the interval of your choice, every 4, 6 or 8 weeks. Best-selling products include Organic Scratchy Balm (for eczema, psoriasis, and a range of other skin issues) which is shortlisted in the FREE FROM Skincare Awards, Very Indulgent Organic Face Oil and Organic Deep Cleansing Balm. All products made with fresh, high quality oils and butters. No parabens, sulphantes, artificial colour or fragrance. Shipping: £3.50, 2nd class Royal Mail with proof, approximately 3 days. 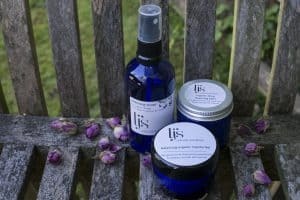 How would you rate Organic Aromatherapy Beauty box ?